As the Syrian crisis enters its sixth year, the Donald Trump administration is looking more and more like the Obama administration every day. With the Trump regime refusing to open useful dialogue with Russia regarding Syria, its obvious anti-Iran and pro-Israel positioning, and support for a very questionable “safe zone” plan for Syria, the odds of a rational U.S. policy in regards to Syria has lower and lower odds of existence as time progresses. Yet, despite the fact that the Trump administration is apparently poised to continue the Obama regime’s proxy war of aggression against the people of Syria, an example of seamless transition, it should also be remembered that the plan to destroy Syria did not begin with Obama but with the Bush administration. Even now, as the world awaits the continuation of the Syrian war through a Democratic and Republican administration, the genesis of that war goes back to the Republican Bush administration, demonstrating that there is indeed an overarching agenda and an overarching infrastructure of an oligarchical deep state intent on moving forward regardless of which party is seemingly in power. “Extremist groups that espouse a militant vision of Islam” who are “hostile to America and sympathetic to al-Qaeda” are the definition of the so-called “rebels” turned loose on Syria in 2011. Likewise, the fact that both Iran and Hezbollah, who are natural enemies of al-Qaeda and such radical Sunni groups, are involved in the battle against ISIS and other related terrorist organizations in Syria proves the accuracy of the article on another level. Some of the core tactics of the redirection are not public, however. The clandestine operations have been kept secret, in some cases, by leaving the execution or the funding to the Saudis, or by finding other ways to work around the normal congressional appropriations process, current and former officials close to the Administration said. Fourth, the Saudi government, with Washington’s approval, would provide funds and logistical aid to weaken the government of President Bashir Assad, of Syria. The Israelis believe that putting such pressure on the Assad government will make it more conciliatory and open to negotiations. Syria is a major conduit of arms to Hezbollah. In January, after an outburst of street violence in Beirut involving supporters of both the Siniora government and Hezbollah, Prince Bandar flew to Tehran to discuss the political impasse in Lebanon and to meet with Ali Larijani, the Iranians’ negotiator on nuclear issues. According to a Middle Eastern ambassador, Bandar’s mission—which the ambassador said was endorsed by the White House—also aimed “to create problems between the Iranians and Syria.” There had been tensions between the two countries about Syrian talks with Israel, and the Saudis’ goal was to encourage a breach. However, the ambassador said, “It did not work. Syria and Iran are not going to betray each other. Bandar’s approach is very unlikely to succeed.”. . . . . .
Nasrallah said he believed that America also wanted to bring about the partition of Lebanon and of Syria. In Syria, he said, the result would be to push the country “into chaos and internal battles like in Iraq.” In Lebanon, “There will be a Sunni state, an Alawi state, a Christian state, and a Druze state.” But, he said, “I do not know if there will be a Shiite state.” Nasrallah told me that he suspected that one aim of the Israeli bombing of Lebanon last summer was “the destruction of Shiite areas and the displacement of Shiites from Lebanon. The idea was to have the Shiites of Lebanon and Syria flee to southern Iraq,” which is dominated by Shiites. “I am not sure, but I smell this,” he told me. Yet, while even the connections between the plans to destroy Syria and the Bush administration are generally unknown, what is even less well-known is the fact that there existed a plan to destroy Syria as far back as 1983. Syria at present has a hammerlock on US interests both in Lebanon and in the Gulf — through closure of Iraq’s pipeline thereby threatening Iraqi internationalization of the [Iran-Iraq] war. 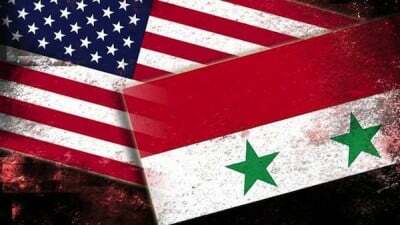 The US should consider sharply escalating the pressures against Assad [Sr.] through covertly orchestrating simultaneous military threats against Syria from three border states hostile to Syria: Iraq, Israel and Turkey. Diplomatic initiatives to date have had little effect on Assad who has so far correctly calculated the play of forces in the area and concluded that they are only weakly arrayed against him. If the U.S. is to rein in Syria’s spoiling role, it can only do so through exertion of real muscle which will pose a vital threat to Assad’s position and power. The US should consider sharply escalating the pressures against Assad [Sr.] through covertly orchestrating simultaneous military threats against Syria from three border states hostile to Syria: Iraq, Israel and Turkey. Iraq, perceived to be increasingly desperate in the Gulf war, would undertake limited military (air) operations against Syria with the sole goal of opening the pipeline. Although opening war on a second front against Syria poses considerable risk to Iraq, Syria would also face a two-front war since it is already heavily engaged in the Bekaa, on the Golan and in maintaining control over a hostile and restive population inside Syria. Israel would simultaneously raise tensions along Syria’s Lebanon front without actually going to war. Turkey, angered by Syrian support to Armenian terrorism, to Iraqi Kurds on Turkey’s Kurdish border areas and to Turkish terrorists operating out of northern Syria, has often considered launching unilateral military operations against terrorist camps in northern Syria. Virtually all Arab states would have sympathy for Iraq. Faced with three belligerent fronts, Assad would probably be forced to abandon his policy of closure of the pipeline. Such a concession would relieve the economic pressure on Iraq, and perhaps force Iran to reconsider bringing the war to an end. It would be a sharpening blow to Syria’s prestige and could effect the equation of forces in Lebanon. Thus, Fuller outlines that not only would Syria be forced to reopen the pipeline of interest at the time, but that it would be a regional shockwave effecting the makeup of forces in and around Lebanon, weakening the prestige of the Syrian state and, presumably, the psychological state of the Syrian President and the Syrian people, as well as a message to Iran. Such a threat must be primarily military in nature. At present there are three relatively hostile elements around Syria’s borders: Israel, Iraq and Turkey. Consideration must be given to orchestrating a credible military threat against Syria in order to induce at least some moderate change in its policies. This paper proposes serious examination of the use of all three states – acting independently – to exert the necessary threat. Use of any one state in isolation cannot create such a credible threat. Turkey’s participation would be vital for success, and Washington would have to encourage the Turks to play a more helpful role than they have so far. While Ankara has lost all patience with Damascus, it has taken few concrete steps that would increase the pressure on Asad (and thereby antagonize Tehran). Turkish policy toward the Syrian opposition has actually worked at cross-purposes with American efforts to foster a broad, unified national organization. With an eye to its own domestic Kurdish dilemmas, Ankara has frustrated efforts to integrate the Syrian Kurds into a broader opposition framework. In addition, it has overtly favored the Syrian Muslim Brotherhood over all other opposition groups. Washington must impress upon Turkey the need to be more accommodating of legitimate Kurdish political and cultural demands in a post-Asad Syria, and to be less insistent on the primacy of the Muslim Brotherhood. Some voices in Washington and Jerusalem are exploring whether Israel could contribute to coercing Syrian elites to remove Asad. The Israelis have the region’s most formidable military, impressive intelligence services, and keen interests in Syria. In addition, Israel’s intelligence services have a strong knowledge of Syria, as well as assets within the Syrian regime that could be used to subvert the regime’s power base and press for Asad’s removal. Israel could posture forces on or near the Golan Heights and, in so doing, might divert regime forces from suppressing the opposition. This posture may conjure fears in the Asad regime of a multi-front war, particularly if Turkey is willing to do the same on its border and if the Syrian opposition is being fed a steady diet of arms and training. Such a mobilization could perhaps persuade Syria’s military leadership to oust Asad in order to preserve itself. Advocates argue this additional pressure could tip the balance against Asad inside Syria, if other forces were aligned properly. While Syria is not in conflict with Iraq today, after being destroyed by the United States in 2003, Western Iraq now houses the mysteriously-funded Islamic State on the border between Iraq and Syria. That being said, this plan is not merely being discussed, it is being implemented as one can clearly see by the fact that Israel routinely launches airstrikes against the Syrian military, Turkey continues to funnel ISIS and related terrorists into Syria through its own territory, and ISIS continues to present itself as an Eastern front militarily. As a result, the “multi-front” war envisioned and written about by the CIA in 1983 and discussed by Brookings in 2012 has come to fruition and is in full swing today. The trail of documentation and the manner in which the overarching agenda of world hegemony on the behalf of corporate-financier interests have continued apace regardless of party and seamlessly through Republican and Democrat administrations serves to prove that changing parties and personalities do nothing to stop the onslaught of imperialism, war, and destruction being waged across the world today and in earnest ever since 2001. Indeed, such changes only make adjustments to the appearance and presentation of a much larger Communo-Fascist system that is entrenching itself by the day. Brandon Turbeville – article archive here – is an author out of Florence, South Carolina. He has a Bachelor’s Degree from Francis Marion University and is the author of eight books, Codex Alimentarius — The End of Health Freedom, 7 Real Conspiracies, Five Sense Solutions and Dispatches From a Dissident, volume 1 and volume 2, and The Road to Damascus: The Anglo-American Assault on Syria, The Difference It Makes: 36 Reasons Hillary Clinton Should Never Be President and Resisting The Empire: The Plan To Destroy Syria And How The Future Of The World Depends On The Outcome. Turbeville has published over 700 articles dealing on a wide variety of subjects including health, economics, government corruption, and civil liberties. Brandon Turbeville’s podcast Truth on The Tracks can be found every Monday night 9 pm EST at UCYTV. He is available for radio and TV interviews. Please contact activistpost (at) gmail.com.